Stay in Alentejo's best hotels! With a contemporary, minimalist décor, the 4-star Évora Olive Hotel offers accommodation in the heart of Évora and features free WiFi throughout. The hotel is very modern and good design in a good location. Receptionists are kind and helpful. The restaurant on the ground floor is also nice. What a shame we didn’t have swimming costumes with us. There is nice heated swimming pool inside. Instead we had a nice bathtub to relax. Located on the Montargil Dam, this 5-star hotel offers luxurious rooms with a flat-screen TV and a private balcony. Facilities include a marina, an equestrian centre, and a 1000 m² Spa. Excellent staff, good breakfast and great place to be! Located in Troia, this 5-star hotel has a unique design and faces the Sado River Estuary. It features a casino, a spa and 2 outdoor swimming pools. Very nice hotel, spacious room (we were upgraded to one of the premium suites), very good breakfast and well attentive staff (from reception, room service and breakfast). A place to return. Housed in a 16th-century palace, this 5-star boutique hotel features a beautiful chapel and dome ceilings. Overlooking the aqueducts of Évora, it has an extensive spa with an outdoor pool. The hotel has a really good location if you are planning to visit the city. Free Parking. The staff was really really great. You can enjoy the breakfast outside with pool view. Free Nespresso coffee. Awesome balcony where you can enjoy the weather and the stars at night. Located within the walls of the Marvão Castle, at the top of the high village of Marvão, Dom Dinis Marvão features a rooftop terrace with a Jacuzzi® and panoramic views of the countryside below. You cannot beat the hotel for location, on the town ramparts, virtually overhanging the cliffs that flow down to the valley, river and villages below. The room was amazing (their best one) with a spectacular view from the bed, bath and balcony. The staff were extra nice and I loved having the local craft beer delivered to our room, at the same prices as the bar itself. Will definitely return. Surrounded by 80 000m² of beautiful gardens, this 5-star hotel is 4 km from Évora city centre and housed in a renovated 15th-century convent. It offers a piano bar and free parking. What a wonderful stay in a delightful ambiance. Staff were attentive and most helpful. It was agood idea to have a tour and historical review of this superb Convent. A truly memorable stay!A must to visit. With an ideal location inside the walls of the historic city of Évora, Albergaria Do Calvário is a 4-star hotel housed in a 16th century olive oil mill. Free Wi-Fi is available. Very good breakfast, fresh juices, clean comfortable bed. São Lourenço do Barrocal is located in the foothills of the medieval village of Monsaraz and nearby the Alqueva lake. The property is spectacular,wanderful architecture and interior design,very simple but at the same time very impressive.We had a deluxe Farm Room that was very very big, nice and big bathroom and private terrace.Very comfortable and equipped with everything you might need.We were very sorry that we came in winter because they have a wanderful pool that we could not use. Breackfast? Absolutely divine!Spectacular view around the farm, nice gardens and meadows with horses and cows. Peace and calm everywhere.It is a must see! Featuring indoor and outdoor swimming pools, Alentejo Marmoris Hotel & SPA is located in Vila Viçosa, known for its marble. The hotel’s Stone Spa by Karin Herzog provides relaxing treatments. A massa do crepe de chocolate era magnífica! Located in the quiet countryside of Santiago do Cacém and 20 km from Costa Vicentina and its beaches, Hotel Rural Monte Xisto offers luxurious rooms and an apartment with private balconies overlooking... The owners and all staff went out of this world to give extra attentive service. Surrounded by the lush forests of the São Mamede Mountains in Portalegre, this former convent is decorated with several historic armours, weapons and antiques. The staff were very friendly and helpful. Ideally located in Marvão, the highest town of Portugal, El-Rei Dom Manuel Hotel is within the protecting walls. It features free WiFi and a restaurant serving regional dishes. The location was excellent with a wonderful view over the surrounding countryside. Located in the historic town of Vila Vicosa and 300 metres from Paco Ducal, Hotel Solar Dos Mascarenhas includes a 16th-century building, stables and mature gardens. Fantastic central and absolutely quiet located accommodation. Located in a castle originally built for Queen Santa Isabel in the 13th century, this luxury hotel offers panoramic views of Estremoz and the vast Alentejo plain from the palace gardens and outdoor... Perfect location , super comfy beds , delicious breakfast , friendly staff! Situated in a former 13th-century Franciscan convent in the heart of Beja’s historical centre, Pousada Convento de Beja offers charming rooms with original features. A great hotel in old historical building right in the middle of the city. Located just a 5-minute walk from the historical medieval walls of Évora, Vila Galé Évora offers high standard accommodation and access to both indoors and outdoors pools. Location is perfect, rooms are great value for money, restaurant could be improved. Featuring minimalist-style interiors, the eco-friendly Moov Hotel Évora is set in a former bullring in Évora city centre. It offers an interior courtyard and free WiFi access. It is a simple, clean, organized, small room with parking inside the old city walls, great location. Hotel de Moura is set in a listed 17th-century historic building decorated with typical tile-work. It features a patio and a garden with a small pool. An amazingly beautiful hotel, facing a leafy square. Situated in a whitewashed building with red roof tiles, Stay Hotel Évora Centro offers bright, air-conditioned rooms with free WiFi in Evora’s historic city centre. Location, staff, room cleanliness. The breakfast was so good. A 10-minute walk from Évora’s historic centre, Hotel Dom Fernando features a restaurant and an outdoor pool. It offers air-conditioned rooms overlooking the pool or the city. Perfect location, the center within walking distance. Personnel was really friendly as well. 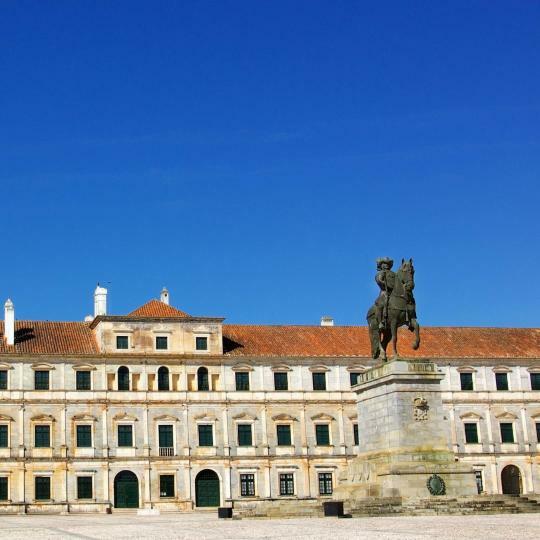 The 4-star hotel in Évora’s historic centre is just a 5-minute walk from Giraldo Square. It offers a spacious outdoor terrace with sun loungers and a pool in the garden. Very well located. All amenities. Nothing to complain about. Situated in Santa Clara-a-Velha, Santa Clara Country Hotel offers free bikes. Perfect location. Beautiful, serene, tranquil, relaxed and calm place away from big cities. Within the medieval walls of this UNESCO World Heritage Site lie numerous artefacts and monuments from Portugal’s Ancient past. Hidden by majestic cliffs, the pristine beaches and crystalline waters of the Alentejo Coast lie in wait to be discovered. 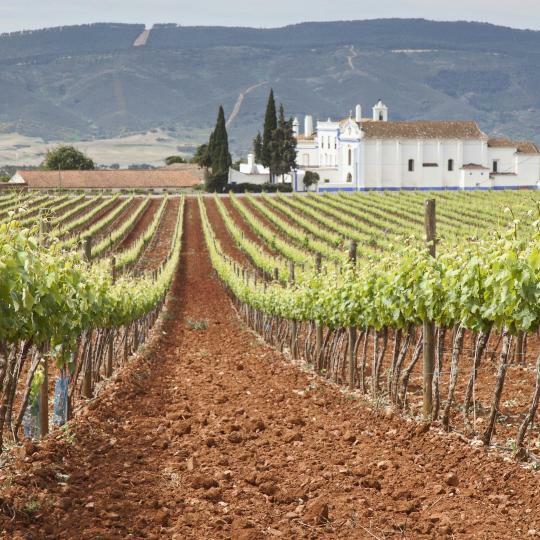 With three routes abundant in vineyards and wine estates, the sunny Alentejo region is perfect for sampling rich wine varieties. Europe’s largest artificial lake is a sailing, wakeboarding and kayaking destination by day and a stargazing haven by night. 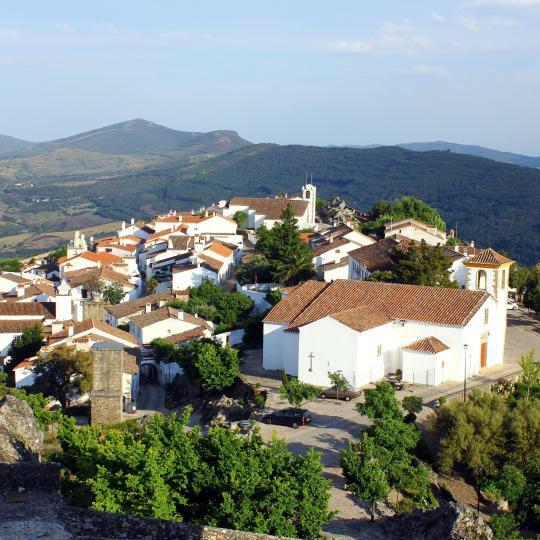 Wander the ancient cobbled streets of Castelo de Vide’s Jewish Quarter then visit nearby Marvão for impressive mountain top views. A testament to medieval times, walk through Monsaraz’s whitewashed village and ancient castle to get a peek of Portugal’s prehistoric past. This fortified city and UNESCO World Heritage Site with five forts provides a glimpse of Portugal’s ancient military architecture. One of the former residences of the royal family, this palace features a vast collection of paintings, sculptures, tapestries and jewellery. White sand beaches and ancient Roman ruins attract visitors to this forested peninsula, surrounded by dolphin-inhabited waters. 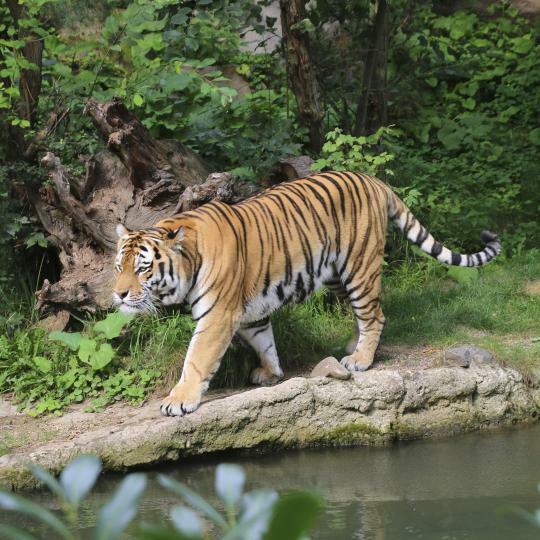 Alentejo’s African-style safari allows for up-close encounters with wild animals and exotic birds and even a water rafting adventure. Sleepy Alentejo is an agricultural region of rolling hills and cork plantations, south of the Tagus River. Many of the Booking.com accommodation options are Alentejo guest houses featuring traditional wooden beds with painted headboards. 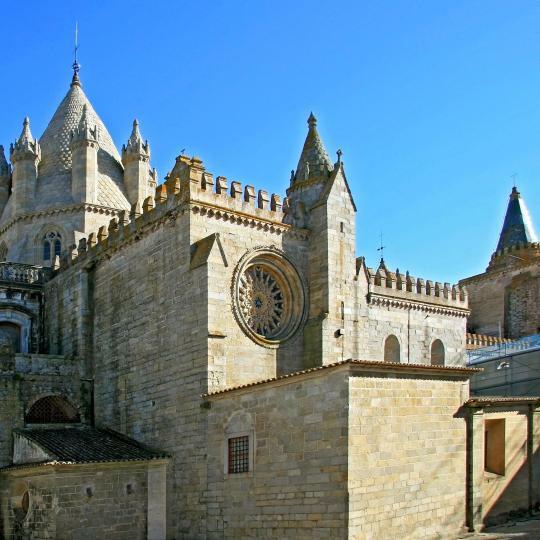 The main city is historic Évora with its medieval cathedral, partly intact walls and remains of a Roman temple. There are also Roman remnants in Beja, with its hilltop castle and whitewashed houses, and Serpa, whose aqueduct forms part of the city walls. Mértola is nestled in the Guadiana Valley Natural Park, while Portalegre is the gateway to the Serra de São Mamede Natural Park. Also here are beautiful Marvão, set on a steep escarpment and guarded by a castle, and Castelo de Vide whose castle is on a less-pronounced hill. 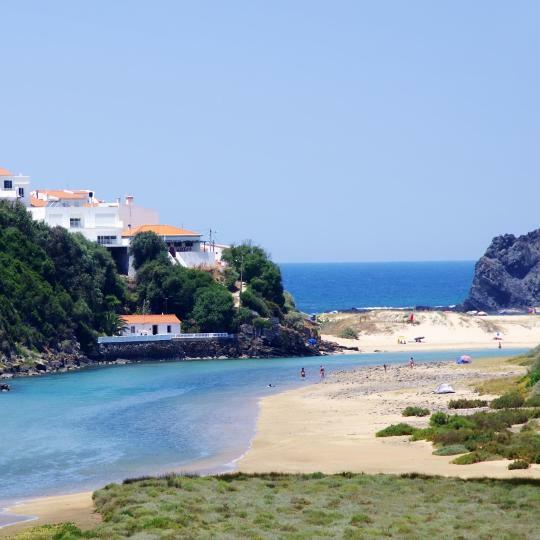 The South-West Alentejo and Vicentine Natural Park is on Portugal’s west coast and many Alentejo beach hotels are found in Vila Nova de Milfontes and nearby Zambujeira do Mar, on a clifftop reminiscent of the Algarve. By the Spain border, hilltop Monsaraz is partly enclosed by walls of a castle overlooking Alqueva Lake, formed by the dam downstream. Across the lake is the castle of Mourão, while to the north is Estremoz, known for colourful marble. East is UNESCO World Heritage-listed Elvas, whose 6 km aqueduct and 2 star-shaped forts are quite a sight. For those interested in history Evora is a delight. For those interested in history Evora is a delight. The Roman Temple of Diana is well worth a visit as is the town museum. Lots of fascinating churches to visit. The Alentejo is renowned for its food and wine and Evora has plenty of excellent venues where you can enjoy both. Evora used to be a quiet historic town - it is now too full of tourists and gift shops to be pleasurable to us. There are many other historic small towns in the Alentejo that are worth the visit, without the crowds. Nothing particularly interesting about this midsize town, a nice plaza with a couple of decent restaurants. It can be a good intermediate stop on the way from Lisbon to the Algarve (or Alentejo). A quiet, relaxing space to stay in that area. A quiet, relaxing space to stay in that area. It is just outside the village so the only walks available are to the nature (within the property or in its outskirts), which are beautiful with river, rice fields, some forest and cattle areas. The hotel is clean and basic, with large rooms and bathrooms but no interesting real views from the rooms. Parking is easy and just at the door and staff is really helpful to find solutions for your activities or needs in the region (from restaurants to gas stations, pharmacy or interesting places to visit). The breakfast is also basic but with some good local products (namely the bread and jams, but not the juices or the ham/cheese, which is a pity). Price seemed too expensive for the type of place ... but this is high season and this area gets lots of visitants and has limited offer. 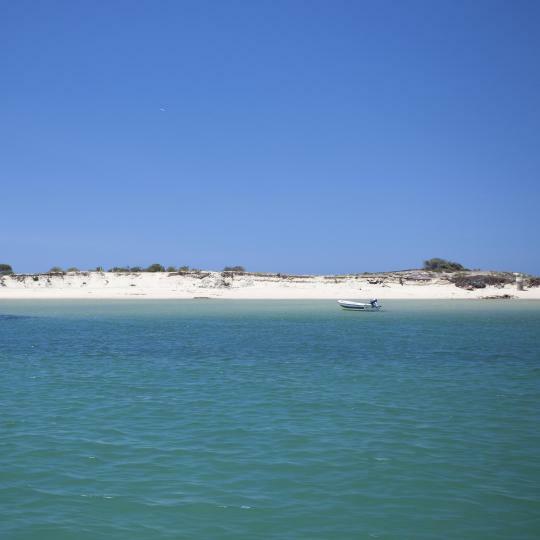 Álcacer is a small but interesting town with several medieval buildings and the countryside landscape is beautiful with rice fields and forest, and of course you have several excellent beaches nearby in Tróia pensinsula, Comporta, Carvalhal, pego, etc. Finally, food is almost perfect as you can get from traditional Alentejo meat (pork) dishes to all types of sea/river fish for a fraction of the price in Lisbon and almost fresh from the water. This amazing little castle village is the best two day location mini vacation. The best: if it is too hot, there s Barragem do Alqueva with a full renovated official beach that will just help you melt the heat. Amazing, views - staying inside the castle is recommended to wake up to the tipical Alentejo plains (just leave your car outside the walls since it's forbidden to go around with the car from 10-18h). 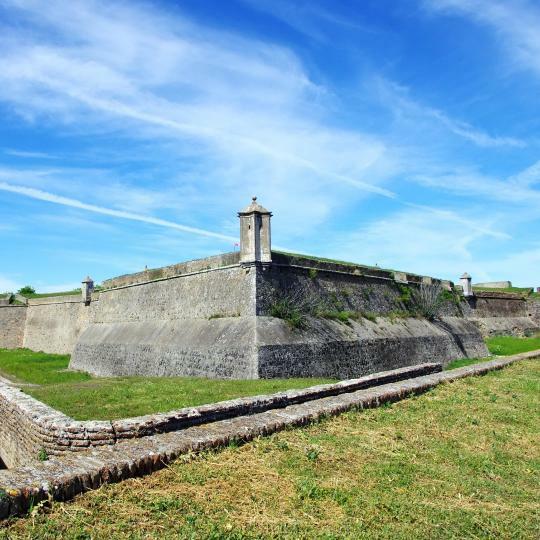 If you are in Lisbon or around Portugal and you like to visit a quiet and interesting town, Evora is a good one for a day or two, more if you like discovering the Alentejo Region. It's quite expensive as it's a very attractive tourist destination, but I would say it's worth the pennies. Eating wise you can spend very few money and really enjoy good food, especially in the little local restaurant that are not so attractive from outside but they're super tasty and welcoming, very authentic and not pretentious. The Cathedral and the Evora Museum deserve a visit, very well kept and organised for visitors. The town itself it's worth a visit, lots of local products (maybe cheaper elsewhere in Portugal) and history to feel. It was a last minute choice going to visit it and I'm really glad I decided to. We've been visiting at the beginning of spring, so there were not too many tourists around and the weather was warm, not everything was open during the week, though. Amazing place, with beautiful beaches and an authentic and preserved coastline. The littoral of Alentejo deserves to be seen for its authenticity and the nature, by hoping it will continue to be that way. The Duna Parque Beach Club is a wonderful place to stay, with friendly staff and, for those who do not especially want to go to the restaurant all the time, it is a perfect place with comfortable flats. Evora is an enchanted little city in the heart of Alentejo. Evora is an enchanted little city in the heart of Alentejo. It has everything you could ask for: historic monuments, charming restaurants ( Origens was my favourite), high street clothing shops, and friendly hairdressers. Combine all this with the fact that within 5 minutes of the city, you are in the beautiful Alentejo countryside. The typical landscape of Alentejo, a quiet place with a mining museum and handicraft atelier. You can walk or lie in the sun and listen to the birds. Nice place to stay while exploring the nearby beaches and typical gastronomy of Alentejo. The owners (Ana and Jorge) and all staff do all to please you. Comfortable and clean accommodations. Decoration is a must. There are many peaceful spots where you can enjoy a drink, read a book or just wonder the silence of nature. This Monte is strategically located to visit some of the most beautiful beaches of Portugal. We absolutely loved our stay. The houses are traditional Alentejo style homes surrounded by beautiful scenery. Our room was more like a little apartment as it had its own kitchenette. The staff was incredibly nice and helpful. We were welcomed with fresh sangria by the pool which was very thoughtful specially because it was a really hot day. And it's only a 10min drive to the medieval village of Evoramonte. A hidden paradise in Alentejo - which by itself describes how good this hotel is. This hotel is a really good place to stay, relax and enjoy some privacy. The rooms have all the required amenities, the sights are wonderful and there's plenty of activities to do. Breakfast is a delight and the restaurant has a really cosy and nostalgic feeling. We hope to be able to visit again sometime soon!!! Beautifull place with excelent views and places to walk and see the beautifull landscape of Alentejo. It's and execelent place if you want to rekax from the daily stress, eat excelent food, drink excelent beer (10 minutes away by car from one of the best craf beer Breweries of Portugal - Barona) and excelent wine. Also Ron is a great guy and very helpfull for everytihing you may need. Hotel Bejense is centrally located within the commercial area of Beja and a short stroll from the town's attractions. The hotel is also in easy reach of the Train & Coach stations. The welcome is very friendly as is common throughout the Alentejo and the breakfast has more choice than most fares on offer in regular hotels. The atmosphere is very homely. This is a first class hotel, with very unique architecture, interior design and location. The Baixo Alentejo region, north of the Algarve, has rolling countryside, ancient farms, cattle and horses. Its truly a unique place to experience a somewhat 'lower profile' are of Portugal. The restaurant is also very good with a nice wine selection. A friendly family run place in the Alentejo countryside. The lady cooks you a dinner in the evening - should you wish for it - that can be eaten in the terrace. The property is well maintained with flowers and traditional farming utensils as part of the decoration. This is the second time we stayed here passing between Spain and Portugal. Small hotel in a very quiet village, very good for some relaxing time or as a base for visiting the Alentejo and Algarve (or Extramudura/Andalusia in Spain). 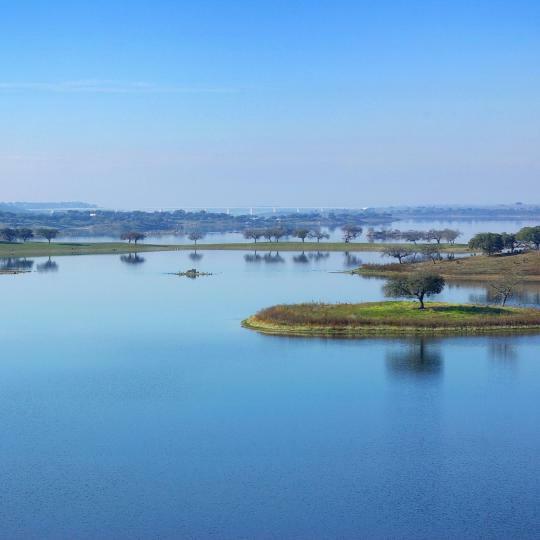 Very close to other Alentejo spots: Alqueva dam (the largest artificial lake in Europe), Guadiana River (and its natural reserve park) and cities like Beja and Serpa. A lovely hotel in the middle of Moura. The staff were very friendly. Our bedroom was fantastic for a family. The swimming pool is small but great to freshen up after a day out. 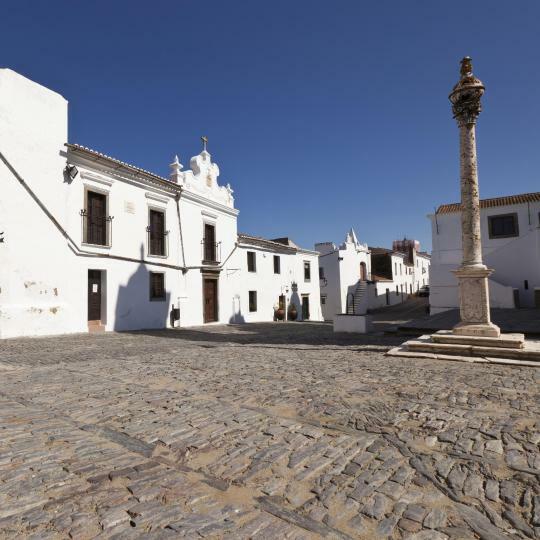 Moura is a super little town and perfect for exploring this part of the Alentejo. Breakfast was good with a selection of food. We will return! The Hotel was a traditional Alentejo building; unspoiled by modern crassness. The only update I could have wished for was a fridge in our room. It is a perfect getaway. Virtually no English spoken,set in a beautiful unspoiled town. Just watch weather temperatures. It can get really hot! One of the best hotel we visit with my wife and I have to say we travel a lot all over the world and this is almost in the middle of nowhere , Alentejo region is beautiful and Vila viçiosa a small town with great historical building including the hotel. The apartment is large. Comfortable for long and short trips. Even if Cercal do Alentejo is so small to consider any location in a good potistion, being 1 minute far from the main square let you be close to bus station, restaurant and cafe. This small hotel is very well located near the castle and walking area of the town. The breakfast was plenty and you felt like the staff really cared. There is a great restaurant right beside with homestyle Alentejo food called Papa Migas. If you are travelling around Alentejo, this hotel is a great choice. The rooms are very comfortable and really clean. The breakfast is excellent and represents very well the Portuguese gastronomy. The owner is very attentive and friendly. Amazing 5* Hotel - small paradise in Alentejo Great location by the lake (jet ski and boats can be rented) Family friendly hotel, smiley staff and top level facilities: SPA, the 5 pools (one by the lake), fitness center. The view from the pool area is really impressive, very calm and beautiful area of Alentejo. The breakfast very tasty. The rooms are neat and tidy. Staff very kind. Hotel simple and unpretentious. Breakfast, the view from the room(103), nice and helpful staff. The best hotel that my travel agent booked in Alentejo.